A repatriated trade policy requiring new WTO Schedules and new third country trade agreements. In this post, I will look at the impact of a new Customs Border on UK-EU trade. At present, UK customs operations are governed by the Union Customs Code (UCC), some 1300+ pages of EU legislation. Entering into effect on 1 May 2016, with implementation planned up until 31 December 2020, the UCC provides new framework regulation for modernised customs rules and procedures throughout the EU. The stated aims of the UCC are simplicity, service and speed. On leaving the EU, the UK will need to implement its own customs legislation. The Great Repeal Bill will adopt the UCC, suitably amended for the UK customs territory. Post-Brexit, the UK and EU will view each other as “third countries” with mirrored customs regulations for handling imports/exports. Export licenses are required for some goods, e.g. military goods, Chemicals, medecines/controlled drugs etc. VAT Zero-rated if exporting to an EU VAT registered business, otherwise VAT must be charged at the prevailing rate in exporters state. All VAT invoices must be retained. Intrastat returns A monthly declaration of VAT sales used to collect statistics on the trade in goods between EU member states. Introduced 1 Jan 1993 to replace customs declarations for intra-EU trade. Excise is charged for some goods e.g. alcohol, tobacco and hydrocarbon oils. Supporting Documentation Full commercial transport documentation must be retained as proof of physical export. Each EU member state administers its own customs authority and makes its own decisions on checking. In the absence of customs declarations and routine customs controls, HMRC rely on other sources of intelligence and information about what is crossing the border. Risk-based checks are carried out on intra-EU trade, focussed on excise risks and security risks. Export licenses as per current EU “Dispatching” process described above. Economic Operator Registration and Identification (“EORI”) status is already required for operators established in the EU and operators established outside the EU who trade within the EU. Import Control System (ICS) EU Security laws introduced in Jan 2011 require an Entry Summary Declaration (ENS) of cargo information to be lodged at the first customs office of entry to the EU for imports from third countries. Supporting documentation is required for Customs Clearance : Commercial invoice; Customs value declaration; Freight documentation & insurance; Packing list. In many cases, this will be similar/identical to the commercial supporting documentation retained as per current EU “Dispatching” process described above. VAT Exports to third countries are usually zero-rated. Imports from third countries are charged at prevailing local rate, although VAT-registered businesses can reclaim the VAT. Excise as per current EU “Dispatching” process described above. Introduction of routine customs controls and customs declarations made in advance will increase information for risk analysis and so provide better targeting of inspections for UK-EU trade. Non-EU trade today: 99% declarations are electronic, 96% cleared in seconds, only 4% subject to checks, vast bulk of checks are documentary checks only rather than physical inspections. Border Crossing Costs. During the Referendum Campaign, HM Treasury's “Analysis of the economic impact of EU membership” suggested that the new customs border could add 24% cost to transaction values. But as explained by Open Europe's analysis, this figure is based on an OECD range of 2-24%, with the 24% applying to much less developed economies. For the UK, this figure is more likely to be in the 2% region, which tallies with an earlier HM Government FoI response (page 5) estimating the cost at 2% of transaction values and analysis at “The Door To Freedom” blog post. Customs Declarations In evidence to the Treasury Committee, Helen Goodman referenced a 2006 study by KPMG suggesting customs procedures cost £800m pa, with customs declarations for non-EU goods amounting to a third of this total. Goodman also related that agents can act on behalf of small firms at a typical cost of €20 and €80 per declaration. In evidence to an Irish Parliament Committee, Carol Lynch, (BDO Ireland), suggested an agent cost of €100 per movement would apply to a post-Brexit border in Ireland - a heavy burden for SME's. Capacity Last year 4.4 million driver accompanied freight vehicles moved between the UK and continental Europe, primarily via Dover ferries or Channel Tunnel shuttle (RHA Brexit Analysis). Roll-on / Roll-off (Ro-Ro) freight is 78% UK-EU trade (BIFA on Brexit) and 99% of traffic at Port of Dover (Dept of Transport). Delays introduced by routine customs controls and checks would seriously impact the ports and roads in and out of them – and impact time-sensitive supply chains. HMRC expect a five-fold increase in customs declarations when UK leaves the customs union, a huge impact on its IT systems. Road Haulage The UK Road Haulage market will face changes following Brexit (TheRoad Haulage Association (RHA)). Under the current EU regime, truck drivers are licensed to drive throughout Europe without the need for permits at every border. Cabotage rights allows haulage companies to provide domestic haulage in all european markets as well as international haulage. Rules of Origin (RoO) (Open Europe's 2014 Brexit Report assumed a cost of 4% of transaction values), VAT (payable on imports although can usually be reclaimed), Entry Summary Declaration (ENS) requirement for third country imports to the EU – all will add burdens to business. Ireland The land border between Northern Ireland and the Republic of Ireland is 498km long with over 300 crossing points. Since the end of the Troubles, it has been an an open and invisible border, cutting through villages, fields and in some cases even houses. The prospect of a customs border in Ireland replacing the current relatively frictionless and invisible border is the cause of much understandable concern. The bulk of Northern Ireland's trade is with mainland Britain, but it's largest and fastest growing non-UK trade partner is the Republic. The Republic's main trade partner is Northern Ireland & Great Britain (In 2015 the UK imported some Euro 14.7 billion from Ireland and exported just under Euro 20 billion to Ireland). Businesses and supply chains operate freely across the border. Analysis by Ireland's Revenue commissioners suggests that most goods crossing the border should not need physically checking – agri-food and construction related make up much of this traffic. Transit is also a key issue, with much of Republic of Ireland's trade to the continent crossing though Britain and across the channel. 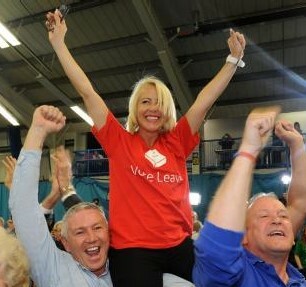 Also, much of Northern Ireland's trade with Great Britain is shipped via Dublin. The impact of a new customs border can be mitigated by simplified customs procedures and investment in technology and infrastructure. The aim will be a customs process that is electronic as far as is possible, with declarations submitted and cleared in advance, simplified customs processing for trusted / accredited traders & speedy passage through customs, with checks performed away from the border wherever possible. As Charlie Elphicke MP states in his paper "Ready on Day One", "the border should be a tax point, not a search point". Trade Facilitation. The 2013 WTO Trade Facilitation Agreement (TFA), to which the EU is a signatory,“expedites the movement, release and clearance of goods crossing borders” (RobertJ. Bowman). Authorised Economic Operator (AEO) is defined by the WCO SAFE Framework of Standards as a party involved in the international movement of goods approved by a national Customs administration as complying with WCO or equivalent supply chain security standards. The EU’s AEO programme is based upon WCO standards. EU AEO status is a regional certification of traders/operators approved at member state level. On leaving the EU, the current EU AEO scheme administered by UK Govt will need to be converted into an independent UK AEO scheme. Operators benefit from AEO status for example by simplified customs procedures; fewer physical and document-based controls at the border & “fast-track” through customs controls; waiver from mandatory debt guarantee for customs procedures such as inward processing etc. Implementation (in both UK and EU) of UCC provisions for AEO accredited traders to submit customs documentation as periodic self-assessment would allow customs duties to be paid in arrears. Entry in Declarants Records (EIDR) allows goods to enter a customs procedure without a full customs declaration (See UK Govt guidance on UCC). In Britain, the AEO scheme currently covers 60% of UK imports and 74% of exports, but only 508 companies - primarily larger companies. ("Nothing to Declare"). This should be expanded to cover smaller businesses, and ideally developed into a fully-fledged Trusted Trader Scheme, as currently used in Canada and Australia ("Ready on Day One"). Infrastructure. 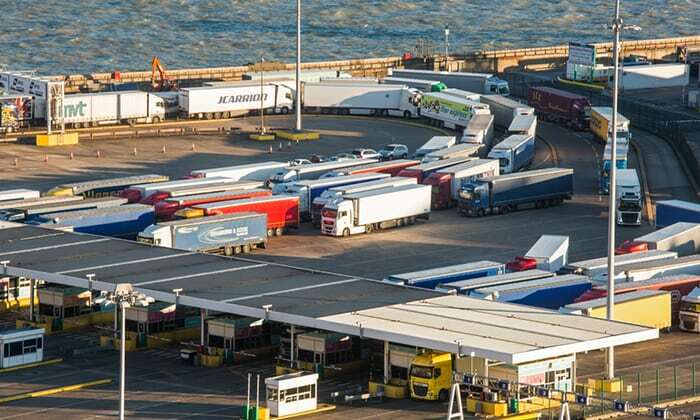 The Channel ports are already struggling with daily traffic of 10,000 HGVs, projected to rise to 16,000. Investment in capacity is a necessity even without the complications of increased declarations, inspections and concomitant delays. Charlie Elphicke MP in his paper "Ready on Day One" has recommended investment in roads approaching Dover to provide a resilient road network: build the new Lower Thames Crossing; widen the M20, dual the M2/A2 all the way to the Channel ports; build the Stanford West lorry park on the M20 (Govt has put aside £250m for this project). HMRC’s current IT system Customs Handling of Import and Export Freight (CHIEF) is in the process of being replaced with a new system, Customs Declaration Service (CDS). This new system will process a larger volume of declarations and support UCC and AEO trade facilitation measures. Single Window, which ”allows parties involved in trade and transport to lodge standardized information and documents with a single entry point to fulfill all import, export, and transit-related regulatory requirements. If information is electronic then individual data elements should only be submitted once.”. The UK should streamline HMRC’s IT infrastructure and create a one-stop shop for all business-to-government trade communication covering customs, excise & vat. HMRC has already outlined its ambition to use the new CDS system as the technology platform to launch its ‘Single Window’ ambition. ("Nothing to Declare"). An EU Single Window project is in progress as part of its Customs 2020 program. Free and Secure Trade (FAST) and Nexus/RFID (used on the Canadian border) could be adopted for use at Dover, which as a ‘land bridge’ has a uniquely high volume of Ro-Ro traffic ("Ready on Day One"). Both the FAST and RFID / Nexus programs provide dedicated lanes and streamlined processes to trusted traders for faster border crossing. The Nexus ID card embeds intelligent tag radio frequency identification (RFID) technology. Presentation of the card to an RFID reader instantly displays photo identification & other information to the customs officer, who can then give authorisation to proceed. The EU have piloted the EU – China Smart and Secure Trade Lanes (SSTL) project, which tests end-to-end supply chain security instruments and mechanisms in line with WCO SAFE Framework of Standards. Automatic Number Plate Recognition (ANPR) is used on the Norway-Sweden border. Of 80 roads that cross the border, only about a dozen are staffed. Unstaffed crossings are regarded as customs green lanes, i.e. “nothing to declare” and are monitored by Pole-mounted ANPR cameras. Norway are now also installing ANPR cameras at the staffed crossings and piloting an automated system for trusted companies that will allow pre-cleared consignments to pass without stopping. Memorandum of Understanding between Irish Revenue Commissioners & HMRC (to address VAT issues arising from UK leaving customs union). Trade contact group (co-operation within the framework of the Good Friday agreement strand 2/north-south & strand 3/east-west). A special transit status for freight traffic within the island of Ireland - allowing movement of goods with customs formalities suspended until the goods either reach their destination or are exported outside Ireland. Most importantly a special origin status. Goods that qualify as originating in Northern Ireland would be facilitated in crossing the border. Such a scheme would need accreditation & authorisation and would need to satisfy OLAF (EU's anti-fraud body) and European Court of Auditors (ECA). My own thought is that such a scheme may need to be be extended to cover goods travelling in both directions across the border – provided the goods qualify as originating in either jurisdiction north & south of the border. Leaving the Customs Union will result in a new customs border between UK and EU with routine customs controls and customs declarations at the border. 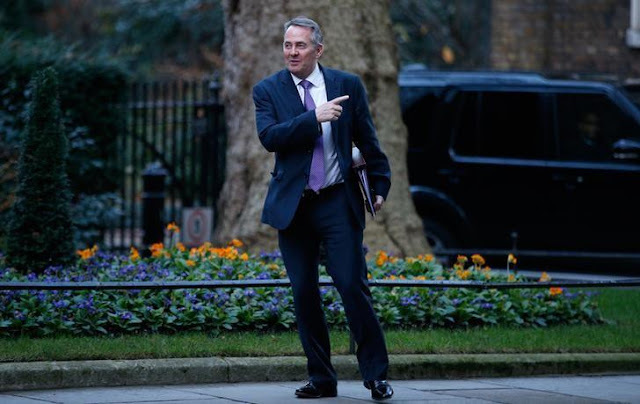 Trade facilitation measures plus investment in IT and infrastructure provides the potential to reduce the trade friction introduced by a new customs border, but there is plenty of work for the UK government to undertake in preparation. But it is also true to say we will be dependent on the EU being ready for a new Customs border. David Davis recently suggested that getting French, Belgian or Dutch customs ready in two years will be difficult and that is why a transitional period may be needed. This is disingenuous from Davis. The replacement of HMRC's IT system CHIEF with CDS is not scheduled to go-live until January 2019, just 2 months before the UK leaves the EU. Furthermore, many of the important upgrades will occur in a phased timetable over 2019-20 (e.g. AEO upgrades are scheduled for October 2019). This timetable is broadly in line with the EU's Customs 2020 program, which will see UCC upgrades being implemented across all EU member states. Unfortunately, the Treasury Committee reports there has been a collapse in confidence in CDS since HMRC presented evidence to the Treasury Committee in Feb 2017. There is a significant risk CDS will not be ready by March 2019. There is also anxiety regarding the Channel ports (Dover &Channel tunnel) and lack of space / resources to cater for the additional burden of customs formalities for EU imports. Given this dependency on timely delivery of UK Government IT and infrastructure projects and completion of the EU's customs 2020 program, a transitional period extending current customs union arrangements would seem to be a necessary step to achieve a smooth Brexit. This would also allow time to design and implement streamlined, facilitative and quick customs processes for the new UK-EU Customs border, as well as time for businesses to adapt to new processes. Agreement with European partners will be needed for a transitional period and special arrangements for Ireland. Other important agreements will be needed: e.g. continued recognition of existing EORI registrations, AEO mutual recognition, Common Transit Convention, Community Licence for road haulage, maintaining customs co-operation and information exchange etc. 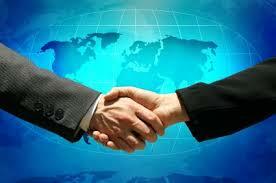 A comprehensive customs agreement will be needed – a subject I will cover in my next post. I have referenced the following papers/documents in this post which are also worth reading for more details:. Evidence to the House of Commons Treasury Committee (7th Feb 2017). "Brexit, Movement of Goods and the Supply Chain" (Legatum Institute). The studies assume that the UK will start imposing extra customs formalities on EU imports instead of removing customs formalities on non-EU imports, if it leaves the Customs Union that demanded them. No doubt the EU will impose some extra overhead, just to make a point, but if 50% of UK imports are EU origin, it's fairly inept to start impeding those, given that the UK will have the choice. Is it feasible for UK to start handling non-EU imports as if they were "EU arrivals" ? Dispense with declarations and implement an intrastat system ? Dispense with Rules of Origin ? Dispense with security control / ENS ? How would we collect VAT, excise & import duty ? I guess Charles Forsyth is recommending zero external tariffs. But would still need regulatory checks etc. Personally, I am not convinced by the zero tariff argument, which would prevent us negotiating FTA access to other markets - and probably endanger existing access - who would roll-over existing EU FTAs to UK if they can get zero tariffs without doing so? 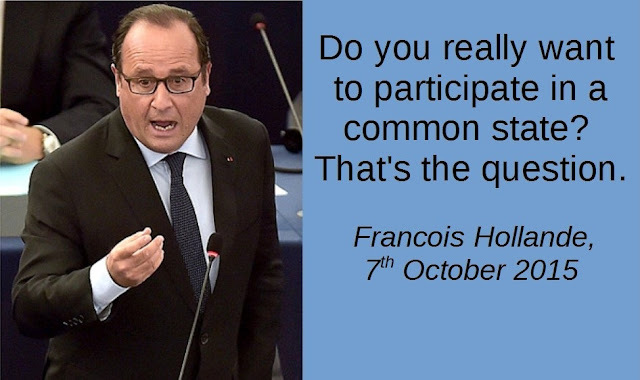 Paul, with regard to special arrangements for Ireland, have you considered the WTO discrimination question? In absence of an FTA, what one offers to one third country in the way of customs facilitation, has to be offered to all. Unless, that is, a waiver is sought from the WTO - as mooted by Lorand Bartels at the International Trade Committee in December 2017. As a postscript to the above, I am not sure whether the UK 'guarantee' of no hard border and 'commitment' to no physical infrastructure are conditional upon achieving a withdrawal agreement, and therefore upon an FTA. I might be wrong, but I doubt that a WTO discrimination issue would arise in the context of an FTA. 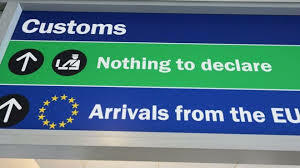 The UK and EU could agree to have no customs checks at their land border, while the EU continued to have customs checks at their other land borders with third countries. Or so I suppose.